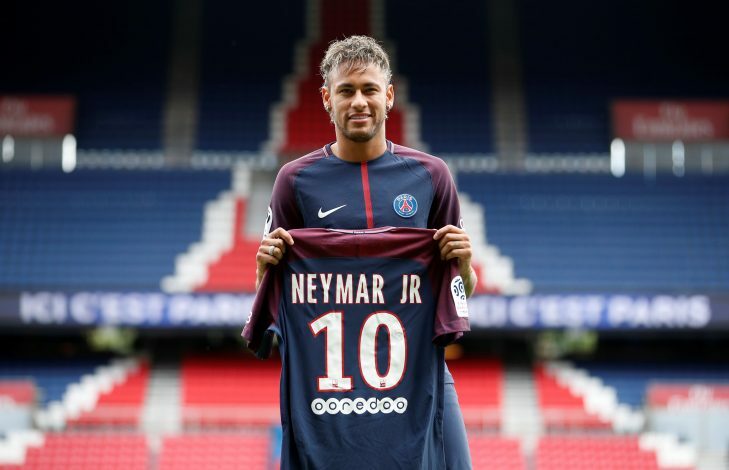 PSG broke the world record by signing Neymar Jr for an astounding fee of €222 million. Way back in July, however, they also managed to hijack Manchester City’s deal to sign Dani Alves. And now, the ex-Barcelona wing-back has revealed that his Brazilian teammate suggested that he join the French giants, hinting at his own departure. Neymar was unveiled in front of a packed Parc des Princes in a grand pre-match ceremony during their opening day encounter against newly promoted club Amiens. With the crowds jubilantly chanting his name, the forward seemed overjoyed, having donned the number 10 shirt and looking well prepared to begin his journey in Paris. Dani Alves made his debut in the match, which culminated in a 2-0 victory for PSG, courtesy of goals from Cavani and Pastore. The former was created from a low cross by the Brazilian wing-back. Neymar watched from the stands, as he was not yet cleared for involvement. The revelation comes as a surprise, as many had speculated that things worked the other way around, and that the defender had played a part in convincing the starlet of the world record move. Back in July, he had confided in his fellow countryman about his decision to leave Juventus, and Neymar told him to choose PSG, despite the heavy interest from Pep Guardiola and the English giants. It now appears that a chance to link up with his former Barcelona teammate, with whom Alves had shared a close bond both on and off the pitch prior to his La Liga exit, was what tipped the scale in favor of the financially strong French club. However, the 35-year-old was adamant in expressing that money was never a motive for them to join the club, but rather it was the opportunity of a fresh challenge in a different league that influenced their ultimate decision. The football world has repeatedly seen how lethal the pair was in Spain. Now, teamed with fellow Brazilians Thiago Silva and Marquinhos, it remains to be seen what kind of facelift they can offer to the Qatari-owned club that finished second in Ligue 1 last season.